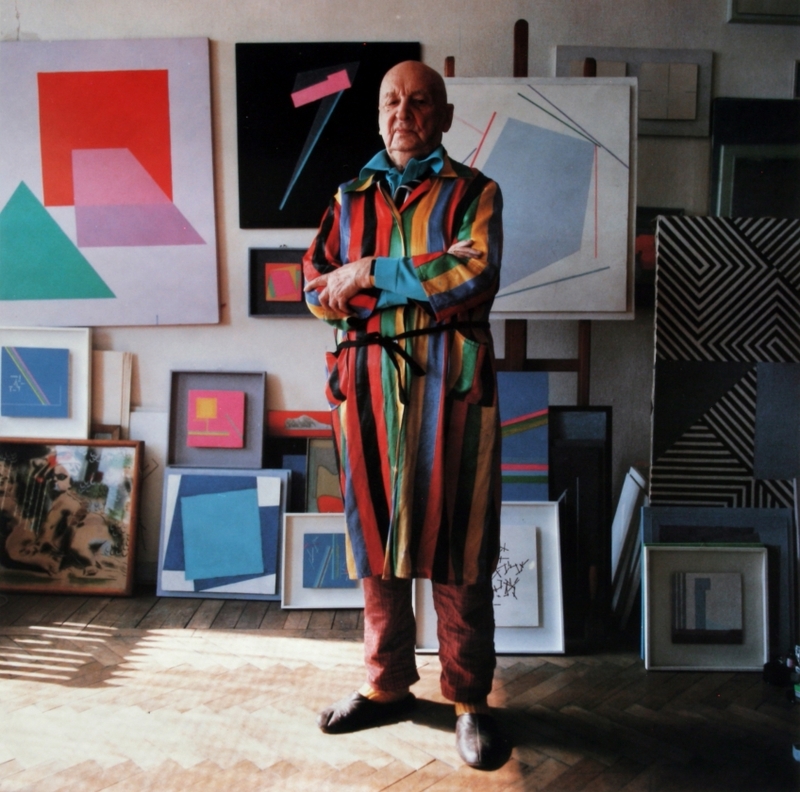 He was a leading European representative of geometric abstraction painting. Graduate of the Warsaw Academy of Fine Arts, he was among the key members of pre-war avant-garde collectives such as Blok, Praesens or a.r. as well as a member of the international groups Cercle et Carré and Abstraction-Création. He was the organiser of Kazimir Malevich’s first exhibition outside Russia at the Polonia Hotel in Warsaw (1927). With Katarzyna Kobro and Władysław Strzemiński, he co-created the international collection of contemporary art that gave rise to the founding of the Muzeum Sztuki in Łódź (1931). After the war, he became associated with the Crooked Circle Gallery community as well as with young artists and critics with whom, in 1966, he founded the Foksal Gallery. He participated in artistic open-airs and biennials (Wrocław ’70, the Elbląg Biennale of Spatial Forms). He was the initiator of an exchange between Polish and US artists, crowned with an exhibition at the Musée d’Art Moderne de la Ville de Paris (1982). Lived 1894–1988.